31.75 in. X 13.75 in. 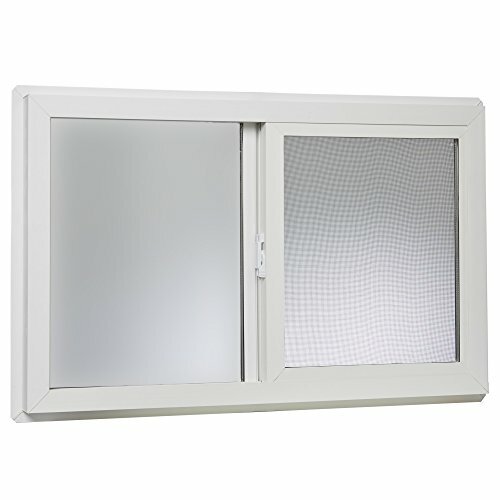 Left-hand single sliding vinyl window White with dual pane insulated glass - White. 31.75 in. X 15.75 in. 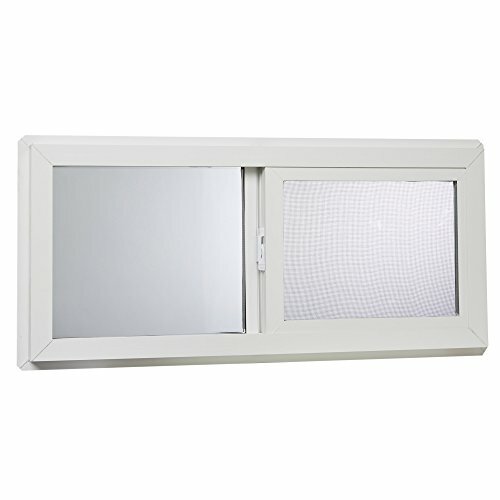 Left-hand single sliding vinyl window White with dual pane insulated glass - White. Whether it s for new construction or remodel projects, Park ridge vinyl single hung windows are the perfect choice for maintenance free living. Our White vinyl single hung windows come with either single glass or energy efficient insulated glass that will keep your home warm in the winter and cool in the summer. Park ridge single hung windows feature a multi-chamber design that is fusion welded for durability and structural performance. The heavy-duty lock and keeper is designed for security. 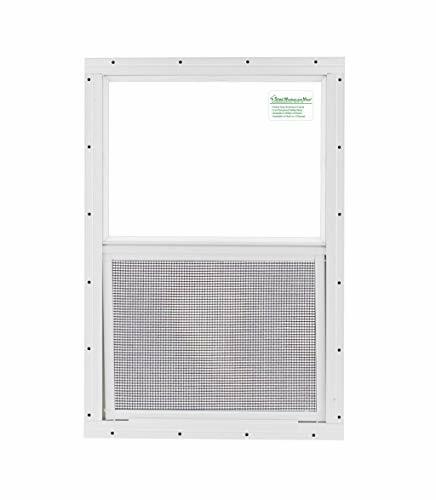 A high-quality charcoal fiberglass mesh screen keeps insects out while allowing natural light and fresh air inside your home. The ease of installation and operation, low maintenance, security and durability put Park ridge single hung windows at the top of any must-have lists. 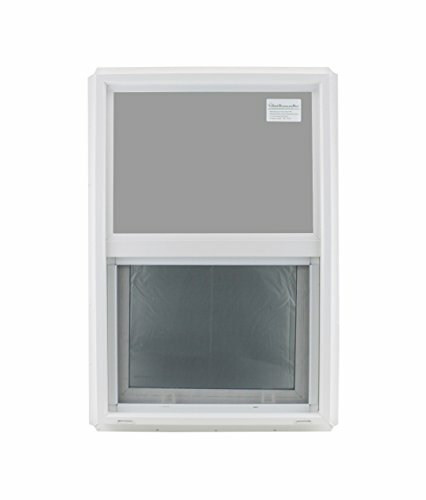 The Park ridge utility vinyl slider window in White, with energy efficient insulated glass and screen is the perfect choice for garages, porches, barns and steel buildings. The solid bright White welded vinyl construction virtually eliminates maintenance issues. A built-in hollow J-Channel accepts all types of sidings and most other types of exterior finishes making installation a breeze. 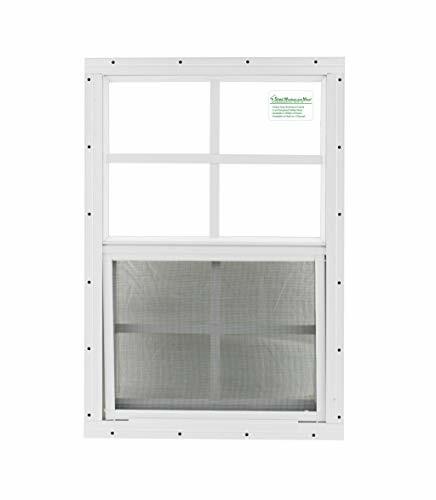 This maintenance free utility slider window comes complete with a removable screen to keep insects out and is the perfect choice for new construction or remodeling projects. Our utility sliders come in a variety of stock sizes to fit the most common Rough openings. Simply put, the Park ridge utility vinyl slider is a beautiful window at a great price. 31.75 in. X 23.75 in. 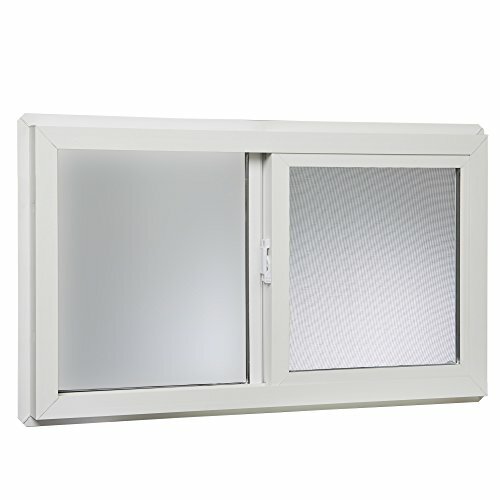 Left-hand single sliding vinyl window White with dual pane insulated glass - White. These Windows are made with durable maintenance free PVC frames which will not wrap, peel, or corrode, no painting needed. Glass is Double Pane tempered glass, two panes of 3.2 mils thick glass and Low-E. Screen included. 36" x 12" Insulating Glass Transom/Awning Window Maintenance Free, Window opens in-ward, Fusion Welded PVC Frame & Sash Integral 3/4" Nail Flange 3/4" Insulating Glass Hopper, Awning or Casement Operation Concealed Hinges with Adjustable Friction Guides Double Contact Weather Strip Fiberglass Mesh Full Screen Limited Lifetime Warranty End flange to end flange 37-5/8 x 13-5/8 x 3-1/8, For your rough opening you need to add 1/4" to 1/2" to the 36" x 12" window size. Shed Windows and More, Inc. , carries the largest selection of shed windows, shed hardware, shutters, skylights, vents, flower boxes, etc for all kinds of outdoor buildings, such as, sheds, playhouses, animal shelters and more. 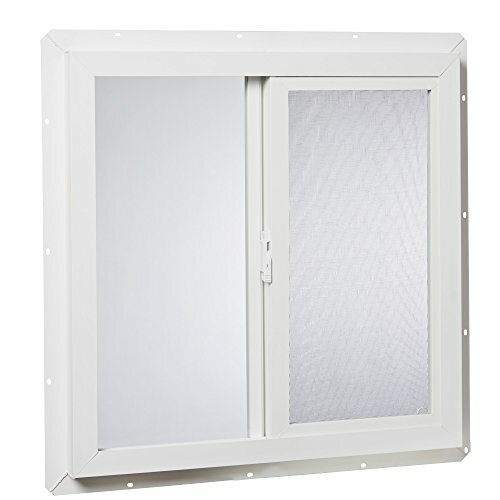 We also have a line of PVC double pane windows for tiny houses, bathrooms or any building were a small insulated window is needed. If you , do not see the item you need, please ask! Shed Windows and More might have it in stock, or have the ability to order it for you. Shed Windows and More your number 1 place for shed supplies and small windows. 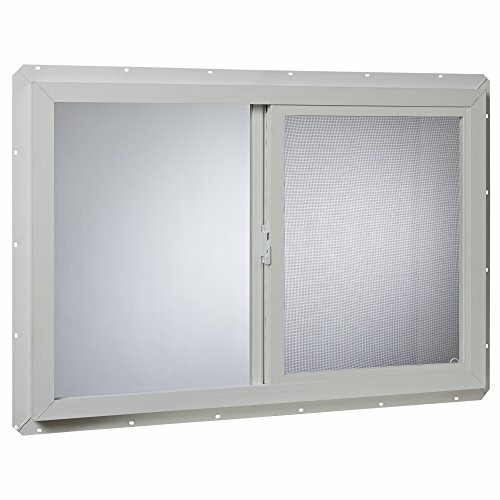 New for Spring 2016 Our New Line of Awning small windows for Homes, Tiny Houses, Playhouse, Sheds, Garages This listing is for the size 16" x 16" square Constructed of energy-efficient polyvinyl chloride (PVC) which will not warp, peel or corrode and will provide years of trouble free operation and performance. Window opens in-ward. The windows have fusion welded frame and sash corners prevent against water leakage. 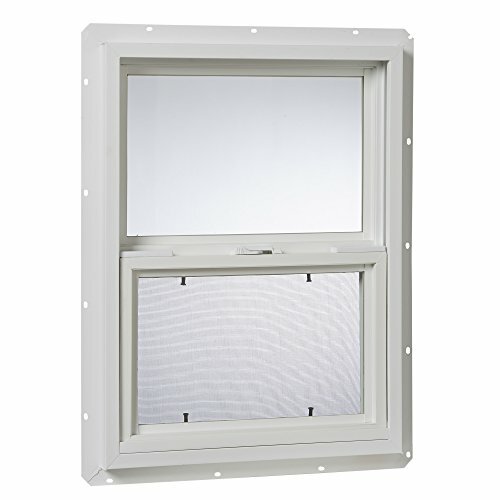 This is a very versatile window it can he installed opening up, opening down, or opening side ways depending on how you mount it. 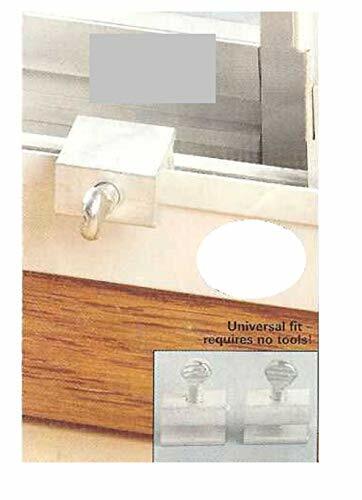 Operating system features concealed, adjustable hinges and lever handle sash locks, which combined with our unique double contact weatherstrip creates a weather tight secure window. 3/4" Nail / Screw Flange Fiberglass Mess Full Screen, Measures: The 16" x 16" window The back part of the window that will fit into your opening will measure 16" x 16" Your rough cut needs to be 16-1/4" x 16-1/4" Overall size (end of flange to end of flange) 17-1/2" x 17-1/2" Dept of window 3" Shed Windows and More carries one of the larges line of small windows for home, tiny houses, sheds, playhouse, garages, etc. This style of window we can have made in custom sizes, please contact our customer service at 843-293-1820 for quotes on custom sizes. Lead time of customer sizes will be any were from 6-8 weeks. Shed Windows and More, Inc. , carries the largest selection of shed windows, shed hardware, shutters, skylights, vents, flower boxes, etc for all kinds of outdoor buildings, such as, sheds, playhouses, animal shelters and more. We also have a line of PVC double pane windows for tiny houses, bathrooms or any building were a small insulated window is needed. If you , do not see the item you need, please ask! 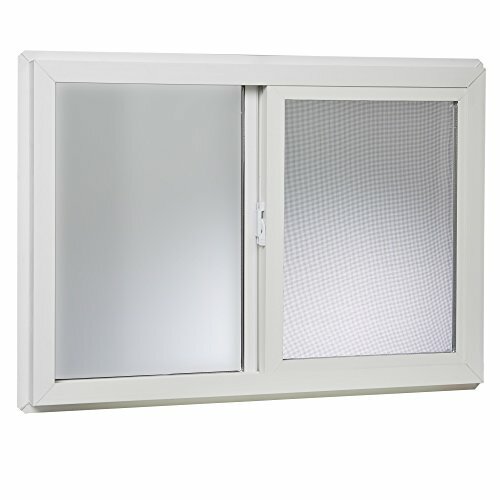 Shed Windows and More might have it in stock, or have the ability to order it for you. Shed Windows and More your number 1 place for shed supplies and small windows. Maintenance free PVC Frame will not peel, wrap or corrode, no painting needed. The glass is double pane, two panes of 3.2 mil thick TEMPERED Glass with a Low-E coating. Tempered Glass is needed for bathrooms in many states. The Low-E coating gives this window a 0.265 U-Value for exceptional insulation, and a VLT (visible light transmittance) of ~61%. Low-E minimizes the amount of harmful ultraviolet & infrared light that can pass through glass causing material within the home to fade. Please note the Low-E is not crystal clear, it will have a slight tint which is what gives you all the good qualities listed above. There is a flange that goes all the way around the window, with the flange being 1" from front to flange and 2" from flange to back. This window comes in many different sizes, please ask if you do not see your size listed. 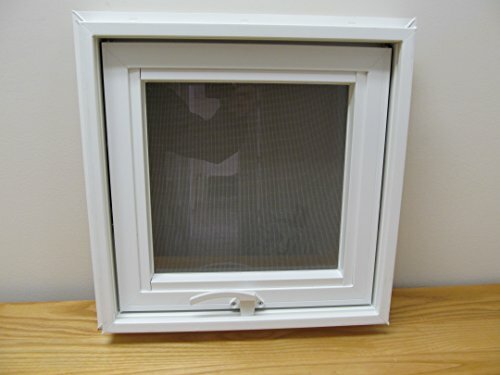 This is The perfect little Window for Any Playhouse, Shed, or Chicken Coop, very easy to install. Our Windows are made to our specifications and are a higher quality then others out in the market place. We have ours made with a thick aluminum frame and instead of standard float glass we use a 5 mil thick clear safety/tempered glass. We give you an upgraded quality window then our competitors. They can be used on any outdoor building, garage, shed, barn, playhouse, etc. 31.75 in. X 17.75 in. 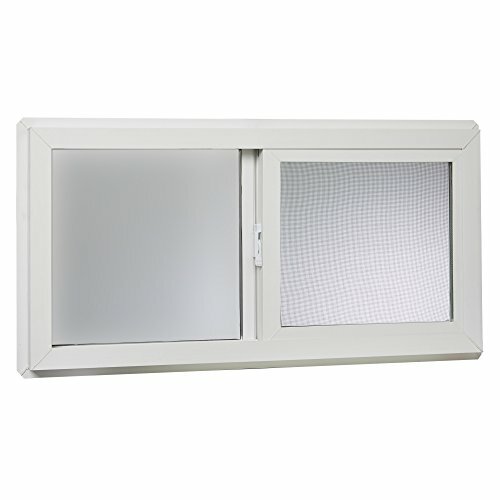 Left-hand single sliding vinyl window White with dual pane insulated glass - White. 31.75 in. X 21.75 in. 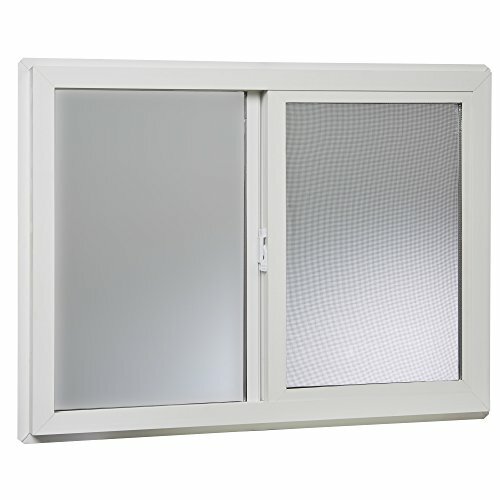 Left-hand single sliding vinyl window White with dual pane insulated glass - White. The Park ridge utility vinyl slider window in White, with single-glazed glass and screen is the perfect choice for garages, porches, barns and steel buildings. The solid bright White welded vinyl construction virtually eliminates maintenance issues. A built-in hollow J-Channel accepts all types of sidings and most other types of exterior finishes making installation a breeze. 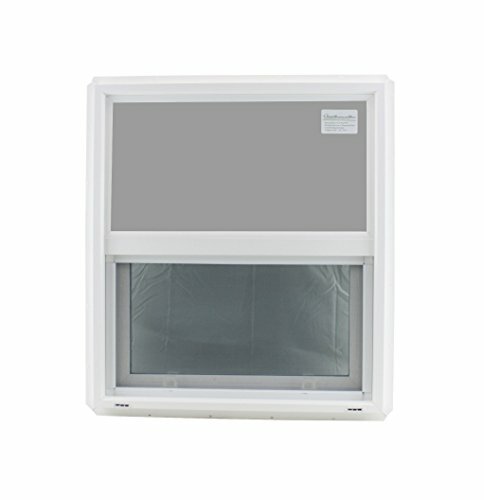 This maintenance free utility slider window comes complete with a removable screen to keep insects out and is the perfect choice for new construction or remodeling projects. Our utility sliders come in a variety of stock sizes to fit the most common Rough openings. Simply put, the Park ridge utility vinyl slider is a beautiful window at a great price. Easy way to burglar proof your windows! Most burglars can easily break the flimsy catches on sliding windows and doors. 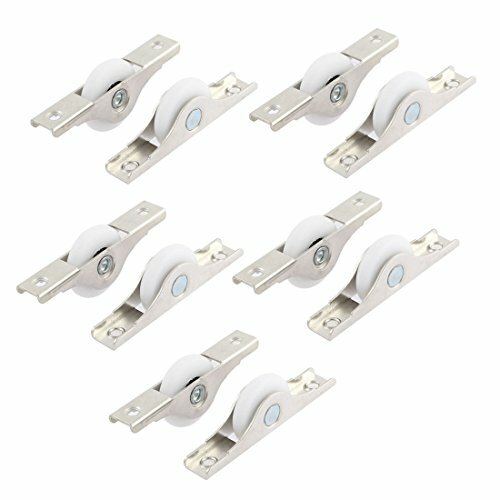 Prevent movement with these metal window clips.They slip into the track and lock into place with a few turns of the screw to give you instant added security. 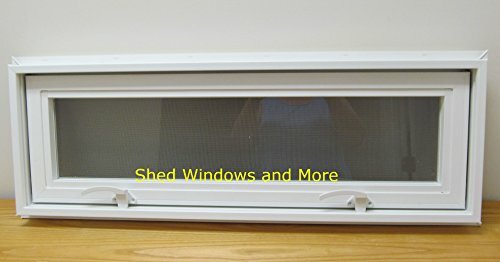 Easy to move from window to window - you can take them with you for use in a hotel or vacation home. Also fit sliding doors. No tools or keys needed. About 7/8" L x 1 1/4" H x 1/2" D.